Not only are the graphics for the challenge amazing (I’m really into visually-appealing things, graphic design being one of them… come on guys – I’m a photographer! ), but it is totally customizable… Did I mention it looks pretty? Cassie posted her own habits and the different point values but I changes it all up to fit my own needs. The challenge is a two-parter, Mind and Body. 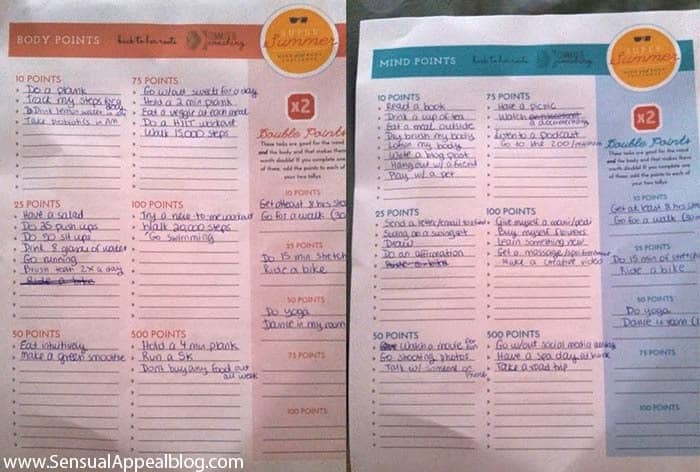 For both you write down activities you want to do over the course of the summer, each valued a different number of points. The goal is to hit 10,000 points in both areas before Summer ends. Things that are easy for you to do, you give a smaller number of points – but for things that would be challenging to do, you give a bigger number of points. Then at halfway mark (5,000) you can get yourself a prize and a bigger prize at the 10,000 mark. It’s pretty cool. I’m still trying to figure out what prizes to get myself, I’m thinking maybe a spa treatment and massage? You probably can’t see all of what I wrote on the sheets (which might be a good thing) but here are some examples of stuff I wrote down. 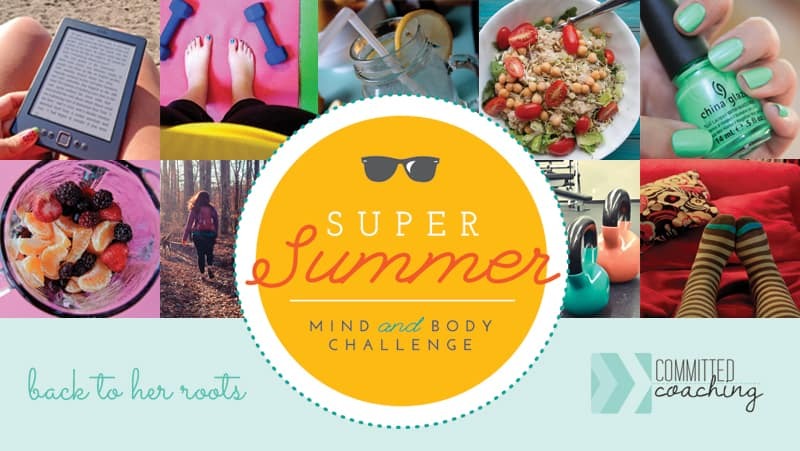 To see how the Summer Challenge works, check it out on Cassie’s blog. What are some things YOU would include in these lists? I’m planning on putting these activities into my Android to remember which ones are worth how much and which ones I committed to doing. Right now, I’m only using the photos I’ve taken but I’m on a search for finding a good app to input all of this information into in a clear way. Any app suggestions for me? The photo above was taken with my Droid RAZR HD from Verizon. Those are such cute printables! I will have to check out that challenge, although I’m trying to move away from setting so many tasks and goals. Walk your dog. Its’ good for him/her, it’s good for you, and most of all it’s a lot of fun. Don’t have a dog? Borrow the neighbour’s or hell, go to the shelter and find the new love of your life. What a great idea! I don’t know that I’d be able to hit that many points. The graphics are really cute.